A parent can suffer no greater loss than the death of a child. 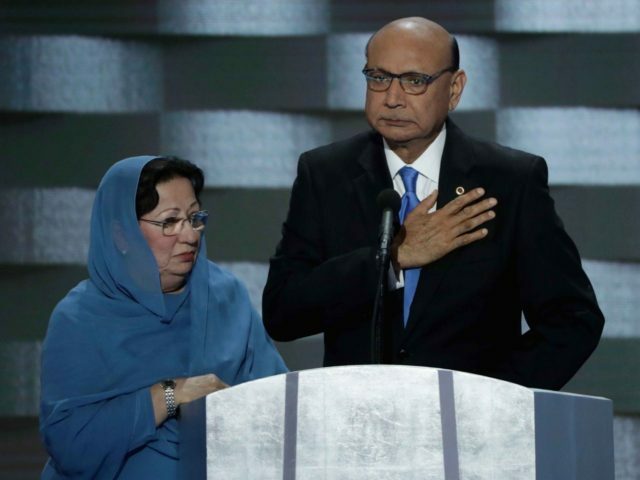 Any parent listening to Khizr Khan—father of Humayun S. M. Khan, a Muslim American soldier killed by a car bomb in Iraq in 2004—passionately speaking last Thursday night at the Democratic National Convention (DNC) undoubtedly felt compassion for him. As both a Muslim and a father who lost a son on a battlefield fighting for America, Khan had special status to address the DNC. However, that status and the compassion felt over his personal loss should not relieve us of the need to address emotional statements made that fail to comport with reality. With this presidential election, so much is at stake regarding our national security, we can ill afford allowing emotion to trump reality. One of the biggest applauses came when Khan, referencing Republican presidential candidate Donald Trump’s proposed temporary ban on Muslim immigration, said, “Let me ask you: have you even read the United States Constitution?” pulling a copy from his pocket. While the line played well, Khan clearly was unfamiliar with an American legal system, operating under the very document he referenced, that has provided the means by which a president does have authority to implement just such an immigration ban. Khan undoubtedly views Trump’s proposed ban as xenophobic and discriminatory—and so too did McCarren-Walter critics. Khan might be surprised to know the two senators who proposed the law were Democrats. It would be interesting to ask Khan whether he supports the U.S. Constitution over Islam’s sharia law. If he suggests the two legal systems are at all compatible, he should be asked if he has even read the Quran. The two systems are completely at odds with each other. Only one of these assumptions can be right. But symbolic of the hypocrisy with which Khan may well view the U.S. Constitution he held high as a prop that night was the dutiful wife standing at his side, her head covered with a hijab. Nowhere in the Quran is it mandated Muslim women wear such a garment; it is Muslim men to whom they are made subservient by Islam who demand they do so since males supposedly are incapable of controlling their sexual desires. The issue of whether we are witnessing an act of apostasy or taqiyya also arose as Khan charged, “Donald Trump… disrespects…women.” There are no more egregious abusers of women in the world than Muslim men claiming they so act under the authority of the Quran. There was a certain irony in observing a party platform promoting the first female presidential nominee in U.S. history while also promoting a male Muslim speaker for whom gender equality, under Islam, simply does not exist. While the loss of Khan’s son was a tragedy, few Muslim Americans have similarly been motivated to serve our nation. The Pentagon reports 5000 Muslim Americans currently do serve. But this is negligible representation—i.e., 0.0008% out of an estimated population of 5.7 million Muslim Americans. 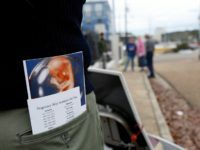 Perhaps one reason for such low military representation has been President Barack Obama’s clarification last year concerning the U.S. citizen’s naturalization oath. The United States Citizenship and Immigration Services explained that, effective July 21, 2015, individuals seeking to become naturalized citizens could apply for a waiver to the oath swearing to engage in armed defense of the U.S. by providing extensive proof of religious or conscientious objections. But most telling is what Islamic scholars say about Muslims serving in Western militaries. Such service is strictly conditioned for one purpose alone—in furtherance of Islam. This furtherance occurs when an alliance exists between the Western and Muslim countries involved. But, otherwise, such service is only sanctioned to learn secrets from or to undermine Western militaries. While Khan’s son’s motivation to serve in the U.S. military may well have been patriotism, the Islamic State has condemned him as an apostate for it. This declared purpose to further Islam provides background for a most disturbing statistic about our uniformed Muslim Americans. A total of fourteen Muslim Americans, including Khan’s son, have died since 9/11 in military service. This is fewer than the number of American soldiers who have been murdered by their uniformed Muslim American “brothers.” In 2003, a U.S. Army Muslim American soldier, acting in Allah’s name, murdered two American soldiers in northern Kuwait; in 2009, another U.S. Army soldier murdered thirteen at Fort Hood in Texas. There are obviously Muslim Americans who have served, and continue to so serve, honorably in the military. It would provide an interesting study to explore what generates such different viewpoints between those choosing to serve honorably and those choosing to take up violence against their brother warriors. While one’s heart goes out to Humayun Khan over his son’s loss, one’s head should remain wary.